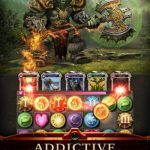 Age of Immortals is a new iOS role-playing game that incorporates two different genres, the increasingly-popular team RPG genre, and the always-popular puzzle game genre. It’s up to you to assemble a team of heroes against the enemy Titans, as you match blocks for your heroes to launch abilities against the enemies. The game comes with many unique heroes, a variety of game modes (Campaign, Arena, Infinity Tower, etc. ), a vast world for you to explore, and hundreds of missions to complete. You can also complete achievements, and play the game solo or as a part of a guild with other players from all over the world. And if you’d rather play the game with other human players, then the PvP arena is there for you to conquer. 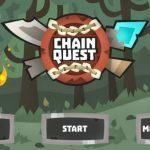 The puzzle RPG is fast gaining traction in the mobile gaming scene, and you’re probably wondering how you can succeed in such a game. After all, there are different twists and turns that make this game different from others in the puzzle RPG category, so if you want to make good progress in this game, check out our list of Age of Immortals tips, tricks and hints, which is specifically designed for first-time players. Although, it might sound like a good common-sense move to wait for the right time before you string together a chain of three blocks, you might want to make good use of what you currently have. You can still stack those blocks, but what you want to avoid is an instance where your queue of blocks is all filled up, which will leave you no choice but to go on the attack. As matching blocks charges the SP meters of your heroes, it is almost always a better idea to attack when you see something to work with, rather than keep stacking them up for a more ideal time. If you see a chance to match three blocks and string them together in a chain, that would still be the most ideal scenario. Take note that this might not be a Match 3/RPG hybrid in the truest sense, but three is still the magic number in Age of Immortals. Use your individual attack blocks in the middle of your three-block chains so you can get rid of them and put them to good use. You might be tempted to make use of your skill blocks just because they’re there, but it’s a better idea to use some strategy. Take note that there some heroes in Age of Immortals who have area-of-effect attacks, including the starting hero. Aldross has the regular skill Thunder, which allows him to deal out damage against all enemies close to him, thanks to the whirlwind-like motion associated with the skill. When using heroes with area-of-effect attacks, wait until you’re in a situation where you can damage the most enemies. But when talking about heroes with ranged attacks, you don’t need to think about your timing too much. This is probably the question you may be wondering the most about. 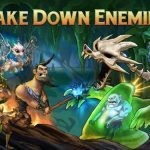 As a hero RPG, you will definitely want to collect as many heroes as possible, and here are the ways for you to do this. First of all, complete the daily quests and make sure you get to them before they reset for the day. Completing one of these quests will give you a hero of guaranteed three- to six-star rarity. Compared to buying a gem card pack, which could cost a lot of your currency, this is a more affordable way to add to your collection of heroes. You can also complete the Infinity Tower levels, as clearing some of those levels will give you heroes as a reward. The Shaman is a hero you get early on in the game, but even if he’s one of the first heroes you unlock, you shouldn’t let go of him too easily, if at all. His regular skill is Guardian Heal, where he transfers some of his hit points toward a hero with the lowest health, effectively healing him by sacrificing his own HP. The Shaman is especially useful when you’re starting out in the game, especially if you need some quick healing in order to stay alive for a longer period of time. Although, the game can technically be played solo, Age of Immortals tries to give players incentive to take advantage of the social features. And that plays into what we were talking about earlier – collecting more heroes. It’s a good idea to add friends, even ones who are thousands of miles away from you in real life, as you can get honor points if a friend you’ve added summons you as their ally. Honor points can be used to buy the common hero pack, and while the rarity range is one to five stars for the heroes within, there is definitely a possibility you’ll end up with a lot of high-rarity heroes in the process. Lastly, let’s move on to the premium currency of Age of Immortals – gems. 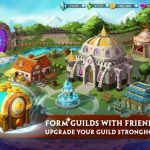 You can buy gems at the in-app store, but since that’s going to cost you some of your real-life money, we’d like to tell you about two ways you can get them for free. First, level up your heroes to their maximum level, as that’s going to get you one gem per hero. That’s a paltry amount of gems, we’ll admit, but those gems could add up as you go along and collect more heroes. Additionally, there are some missions and achievements that could give you gems as a reward. Since achievement quests have more than one level, the gems you earn can become progressively higher as you move from level to level. These would be our tips and tricks for Age of Immortals. If you’ve discovered other hints for the game, feel free to let us know below in the comment section!